25% OFF For a Limited Time! 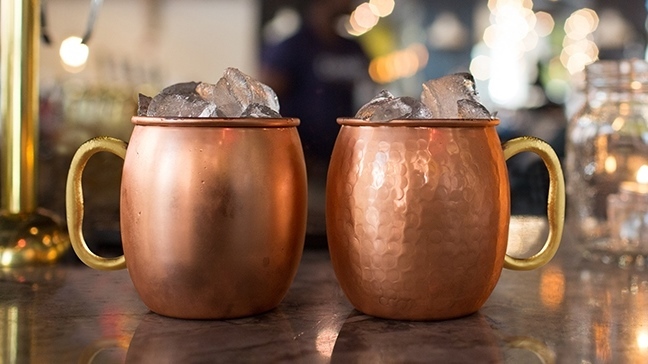 Coupon Code "mule"
Vintage Cocktails are making a huge comeback and the Moscow Mule is one of the uniquely American classics. This crisp light drink combines vodka, ginger beer, and lime for the ultimate classic cocktail experience. Below you'll find all to tools needed for the perfect Moscow Mule. Vintage Cocktails are making a huge comeback, the Moscow Mule is one of these American classics. The drink is credited for bringing vodka to the U.S. market. This crisp light drink is sure to impress your guests & patrons every time.